Two Massachusetts college administrators were inside Marjory Stoneman Douglas High School yesterday when shots rang out. Paul Brower, an assistant dean for enrollment at Nichols College in Dudley, and St. Clair Ryan, a graduate assistant with the school’s Division III football team, were in Parkland, Florida, on Wednesday for an athletic recruiting trip, according to the Boston Globe. 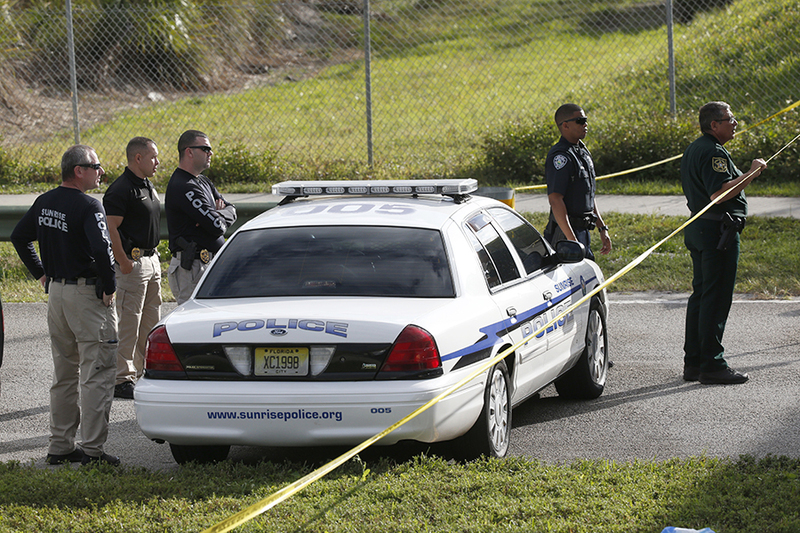 The officials were on lockdown inside the school while a former student opened fire, killing at least 17 people. Nichols confirmed on Twitter that Brower and Ryan were safe. After about three hours, the officials and students were evacuated from the high school by police in SWAT gear. Brower told Fox 25 Boston that social media messages flooded the students they were with, as information circulated about what was happening inside the school. Three of the 10 deadliest shootings in modern U.S. history have happened in the last five months, according to CNN. Roughly 3,000 students attend Marjory Stoneman Douglas High School, which opened in 1990. The Sun Sentinel reports the school was praised for its top-of-the-line facilities when it was built. Nichols College is a private college of 1,218 students, according to its website. The school’s football team, the Bison, competes in the Commonwealth Coast Conference. Updated at 5:11 p.m. on February 15: An earlier version of this story cited statistics from Everytown, an anti-gun violence organization, regarding the number of school shootings in 2018. Further reporting indicates that this number was disputed.